The Mehajer's throw a lavish over-the-top party for their 1yo. Step inside the outrageous $10,000 first birthday party Salim Mehajer's sister threw for her daughter. For those of you thinking a first birthday party requires little more than some hats, streamers and booze for the parents, it’s time to stop what you’re doing. You are so very, very wrong. Forget what you think you know about children’s birthday parties and step into the decadent world of Sydney’s most controversial family, the Mehajers. 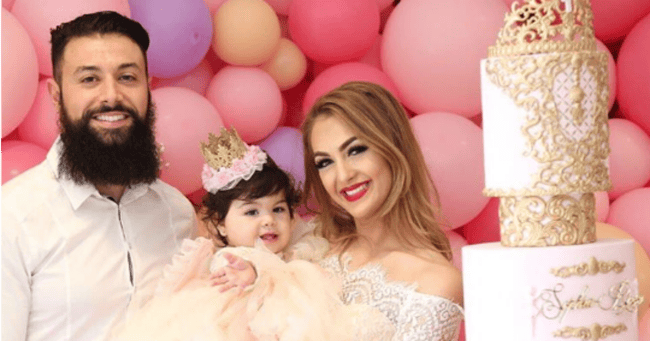 Celebrating the first birthday of their daughter Sophia-Rose over the weekend, the sister of Salim Mehajer, Fatima and husband Jamal Elkheir went all out for a celebration that essentially looked like a miniature wedding for one. 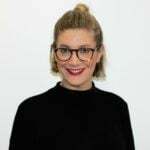 Party hats, messy eating and creations from the Australian Women&apos;s Weekly Children&apos;s Birthday Cake Book are out, and $10,000 spends are in. Plan your baby&apos;s entrance. Opening a door and pushing a stroller will not cut it because this is definitely not your local Westfield. Setting that breathtaking mood from the moment you enter is imperative, which means you&apos;ll need a procession of drummers and the baby in your arms. Outfits are everything, even when your baby is still in nappies. Try to dress them in something that hides that unsavoury fact and helps them look like the tiny adult they&apos;re set to one day become. A giant tutu will do nicely. Be sure to point out the gender of your child at every possible moment through a concise colour scheme. Pink balloons, pink tablecloths, pink cake, pink baby. Did we mention Sophia-Rose is a girl? Your baby is a prince / princess and don&apos;t ever let anyone legally point out otherwise. And as baby&apos;s first birthday, they need a crown, damn it. If you&apos;re worried about your annoying great uncle that no one invited forgetting about this royal status just scatter some crowns around the venue strategically. This will help guests remember she&apos;s a legit heiress and not the Khloe Kardashian of your family. It&apos;s also worth adding some fairy wings to baby just in case they&apos;re royalty in an alternate magical world as well. While babies are generally happy to eat just about anything, your baby is special and has the palate of a middle-aged food critic. You&apos;ll need 100 different desserts as a minimum and some food shaped into the first letter of its name. Let your imagination run wild with the decorating. And by wild I mean employ the same restraint you would for the party of a 30-year-old. Flowers, balloons, fruit carts and multi-tiered cakes are all great. Don&apos;t be hindered by the fact that this is a party for children. As the parents, it&apos;s your day as well, so make it as adult friendly as you feel. Invite 80 of your closest friends and family members to share in this milestone of your offspring. Then tack on 30 of the baby&apos;s friends for good measure. Finally, hire a professional photographer to catch the face painting and karaoke, because #memories. After his extravagant wedding in 2015, Salim Mehajer says he has plans for parliament.